Breast enhancement photos are very useful in choosing the perfect procedure to accomplish your aesthetic goals. Potential plastic surgery patients can utilize numerous visual tools to help them decide upon the perfect cosmetic breast surgery procedure. While these tools can be of great assistance to you, do not rely on them as your only sources of information and do not select a procedure or surgeon based simply upon some before and after photo you have seen. This essay will provide guidance on using before and after photos as crucial components of your surgical planning efforts. The internet is literally chocked full of cosmetic surgery websites. Most of these sites are packed with tons of full color before and after photos of millions of anonymous breasts. Many prospective patients find browsing through these many galleries interesting and informative at first. By searching through photographic patient histories, you get a good idea what results are possible from a variety of procedures and surgical techniques. You might even develop some strong preferences based on photos you see online. However, the more you look around, the more you will discover that results can vary greatly, even with identical procedures and surgical approaches. 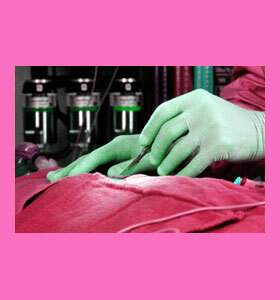 An identical operation might produce 2 completely different outcomes in 2 individual patients. This can be very confusing and often makes women unsure of their decision to proceed with surgery. Instead of falling into this trap, there are better ways to utilize before and after photos. Finding photos of women who have a similar body shape and size to yours is a good place to begin. At least with these photos, you are giving yourself a more realistic idea of what can be achieved with each procedure. Next, don’t simply judge the surgical result as a reflection of the procedure itself. Post-operative aesthetics have just as much to do with the surgeon’s skill and experience as they do with the type of surgery that was performed. Use this knowledge to guide you towards surgeons who generally achieve excellent results, regardless of the procedure used. Lastly, consult with a select group of doctors and ask to see more photos in person. Make sure to tell them you want to see photos of results which are achievable on your breasts, and if possible, ask to speak to the actual patient in the photo. Women who are thrilled with their doctor and post-operative breasts are generally more than happy to speak to you and offer advice. This is by far one of the best uses for breast surgery before and after photos. Once you have found a few plastic surgeons you like, consider asking for a virtual reality prediction of what your surgical results might look like. To accommodate this request, a surgeon will photograph your breasts and upload the file into a special piece of computer software. This program will use customized parameters, which are created by the surgeon, to change your actual photo to resemble a likely surgical outcome. 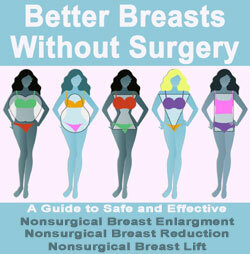 This is a great way to see a comparison of your present breasts along side the planned outcome after your surgery. Virtual reality simulators can be dramatic tools, which really help many women to predict the changes to their body and how they will react emotionally to those proposed alterations, in advance. Just remember that no virtual reality simulator is ever 100% accurate, since surgery has many variables and your actual results may be different than the computer-generated image. Before and after photos will not truly mean much to you until after you have successfully undergone your procedure. Then, they will have real meaning, since you have the pictures of your old body to compare to the new improved you. When you see the drastic changes in your physique, you will be overcome with emotion until you acclimate to the new you. For many women, this is a chance for rebirth; an opportunity to begin anew in the body you have always desired. Let your most important before and after photo be of yourself, once you are fully healed. You will be proud of the new you, as well as the process you had to complete in order to achieve your anatomical aspirations. Contact a qualified cosmetic surgeon to learn more about how breast enhancement before and after photos can help you to choose the perfect surgical solution for your individual needs.